Note: You can Download Android Studio from here. 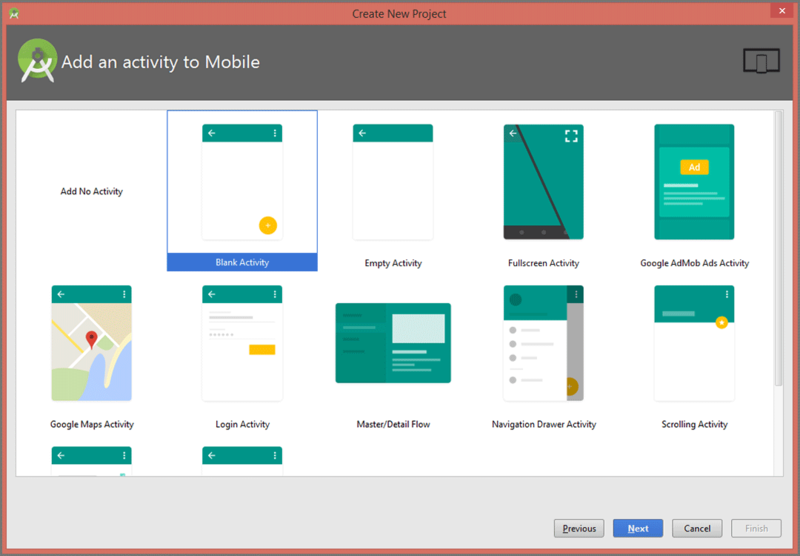 Open Android Studio and go to the File Menu >> New >> New Project. Add your application details over here and hit "Next" button. Select the form factors your app will be run on. Here, you can select device type for your android application. And at the same time, you select Minimum SDK which will be supported by your android application. 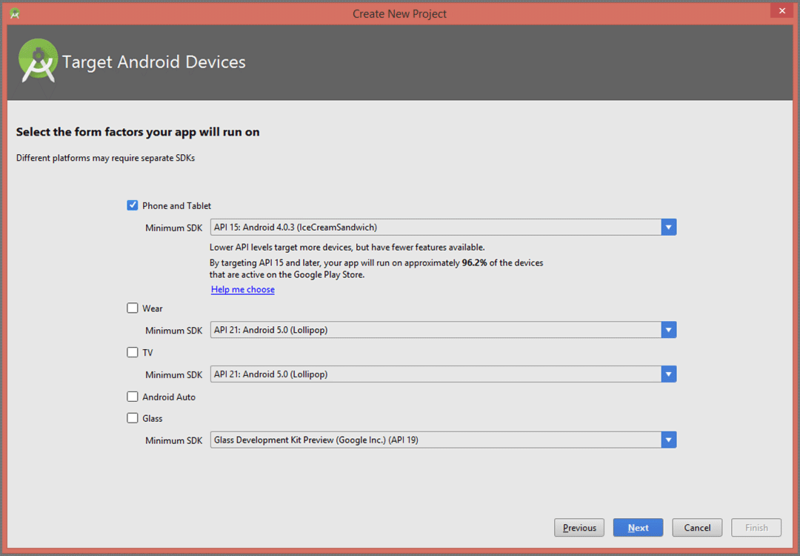 When you select Minimum SDK, Android studio will give you some active android devices percentage that will support your android application. Otherwise, you can also click on "Help me choose" button for more information about android platform versions. Hit "Next" button once you are done. This screen suggests you add any activity at first. If you don’t want to add any activity at starting, you can select Add no activity option. If you have selected Phone and Tablet in option in the last screen then it will display the only phone related suggestions. 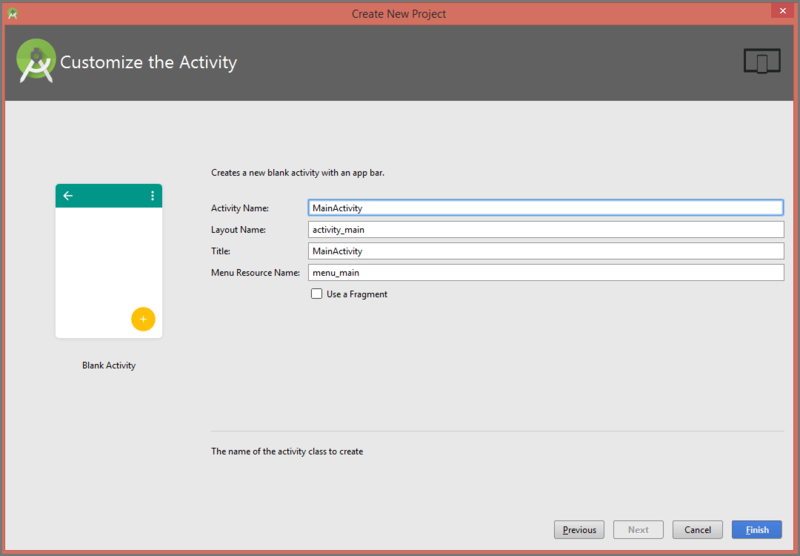 Select Activity as per your project requirements. For example, select Google Maps Activity for google map project, Blank Activity for blank project etc. If you are done with it, click "Next" button. Here, you can customize your selected activity. You can change your Activity name from here. And also you can change Layout name (that will be attached to your activity), Title (Title of the activity), Menu Resource Name (Menu’s resource file name). If you want to add fragment to your activity then select Use a fragment option given below. 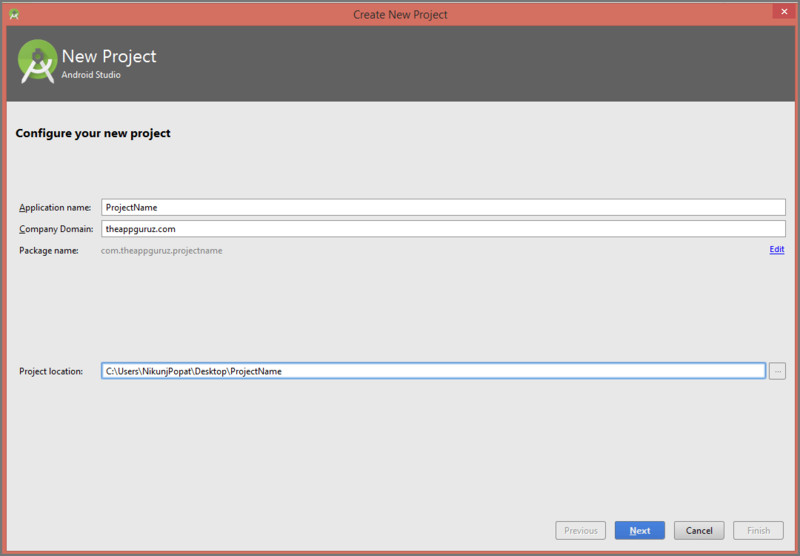 I hope you find this blog post very helpful while creating Android Project in Android Studio. 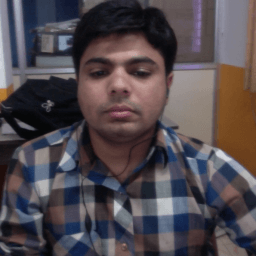 Let me know in a comment if you have any questions regarding Android Studio. I will reply you ASAP.